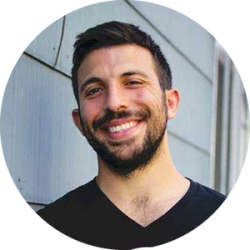 Bryant Sharifi is the co-founder of Perform for Life in San Francisco, CA. A seven-figure fitness studio that is at the forefront of the fitness industry by fostering opportunities for trainers to build their professional careers. After graduating with a Kinesiology Degree, Bryant began his career as a Certified Personal Trainer and Strength and Conditioning Specialist. He quickly found that the industry had not regulated qualifications and its values were not aligned with his own - sales were celebrated over service and knowledge. After being immersed in the corporate box gym mentality for several years, he decided enough was enough. He followed his own path and began to create Perform For Life with his wife, Justine Sharifi. In Bryant's own words..."I believe that the fitness industry has a responsibility for trainers and coaches to have proper credentials and continue their education regularly along with building authentic relationships. Through my leadership, my goal is to mentor a new generation of trainers and coaches who will bring outstanding professionalism to the industry."